After being declared as vermin in Bihar less than two months ago, the nilgai got a saving grace in Uttarakhand where the union ministry refused to grant the shoot-at-sight-in-forest-peripheries permission to the blue bull. 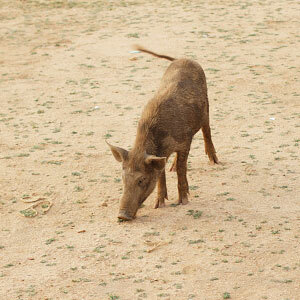 The wild boar, however, has not been as lucky. The Centre has declared wild boar as vermin in Uttarakhand effective from February 3, 2016 for a period of one year. According to Dhananjay Mohan, chief conservator of forests, Uttarakhand, “The locals do not need permission to cull the animals once it has been declared as vermin and is found in the agricultural land. Killing it however in the protected areas (viz. reserve forests and the like) is still punishable under the Wildlife Protection Act.” He added that the locals have no other necessity to kill the wild boar than to protect their crops as the boar's meat is not very palatable. The boar has been declared vermin in 13 districts including Nainital, Udham Singh Nagar, Almora, Bageshwar, Champawat, Pithoragarh, Uttarkashi, Tehri, Garhwal Pauri, Rudraprayag, Chamoli, Dehradun and Haridwar. The Uttarakhand government has been asking the Ministry of Environment & Forests and Climate Change to declare the nilgai as vermin as well, for over a year. However, this time again, the state government has been turned away disappointed.